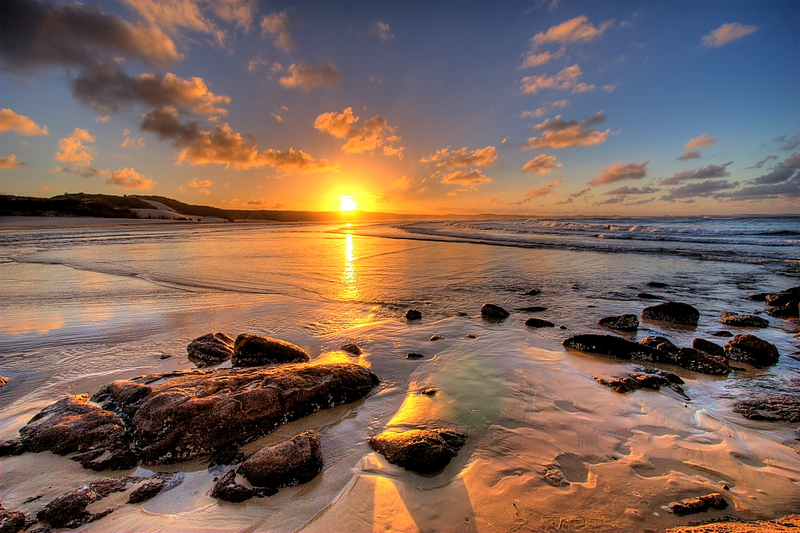 Going to Fraser Island Will Be the Highlight of your East Coast Trip! Here’s what you need to know about Fraser Island: It’s the largest all-sand island in the WORLD. That fact alone should be enough to make you start packing your bags. You can take a walk on Seventy Five Mile Beach to spot whales and sharks from the shore, soak up some rays on the white sands that cover the island & camp next to the beach to watch the moon rise above the water as the stars fill the sky. Since the whole island is made of sand, the best way to get around is to drive a 4x4 along the beach. Take turns at the wheel, grab the aux cord and play some bumpin’ tunes, or chill out in the back to take in all the views. And keep your eyes peeled for wild dingoes! Lake Mckenzie is one of the top ten most beautiful lakes in the world, and there’s no question why. This is a place of dreams; the water is a sparkling blue, and the sand is the softest you’ve ever felt. You can even use it as a wonderful exfoliant, so don’t be surprised if you see people rubbing it on themselves! You’re going to want to join in. Okay, so it’s not literally champagne. But due to the bubbling of the waves it feels alot like it! The Champagne Pools are right next to the ocean, and get topped up as the waves come crashing against the rocks. You get all the thrill of being in the ocean without having to swim with sharks, and the frothy water is incredibly relaxing! After a long day of swimming in beautiful lakes and pools, grab a tube and float down Eli Creek. Another name for this natural lazy river is 'Hangover Creek' since floating around in the fresh water is the perfect way to rid yourself of that headache from a little too heavy night around the bonfire. Don’t forget to grab your water bottles; this river is so fresh that the water is perfectly safe to drink- and it tastes amazing. Park up the 4x4's and take a short hike up to Indian Head, the most easterly point on the island. From this lookout, you’ll be able to spot the turtles, stingrays and even sharks that are out in the waters below. It’s one of the most stunning spots on the island, so don’t forget to bring your camera to take some epic panoramic shots and a few winners for the 'gram. If you're thinking of heading to Australia but don't know where to start, check out our Oz Intro package here.